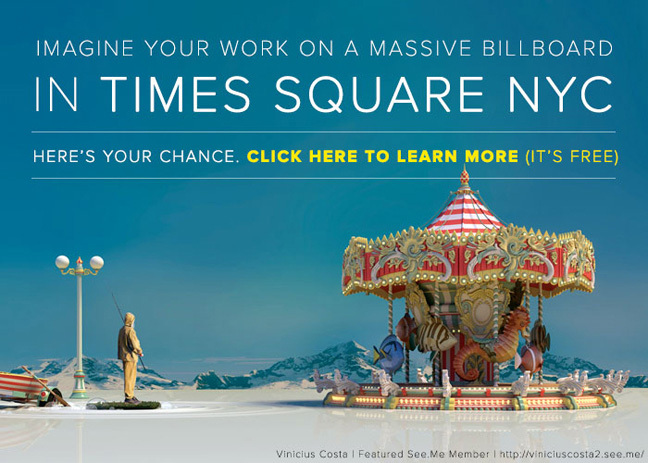 Imagine your creative works on a massive billboard in Times Square. Here’s your chance, and it’s FREE. Artists, Designers, Photographers: you’re invited to join See.Me, a new community where you can showcase your work, connect with other creatives, and access exclusive opportunities for awards and exposure. Create your free profile today and have a chance at over $125,000 in awards, including a massive billboard display of your work in Times Square NYC. We’re featuring creative talents everyday to hundreds of thousands of viewers. Signup today and be one of them. See.Me is a vibrant, global community of creators.